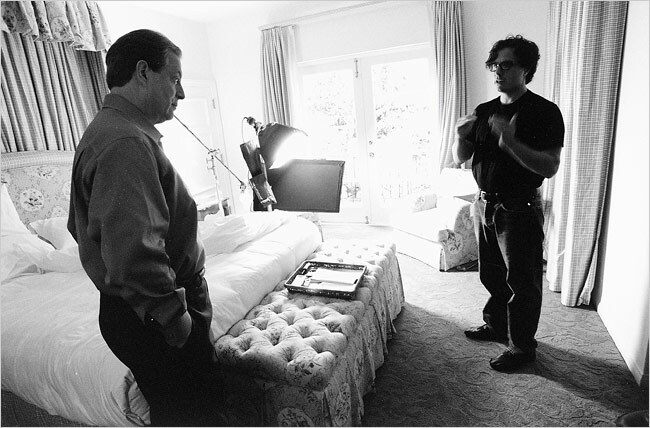 Fourteen years ago, during the 1992 campaign, the current president's father, George Herbert Walker Bush, dismissed Mr. Gore as "Ozone Man" — if the Clinton-Gore ticket were elected, he suggested, "we'll be up to our neck in owls and out of work for every American" — but with the emerging consensus on global warming today, Mr. Gore's passionate warnings about climate change seem increasingly prescient. 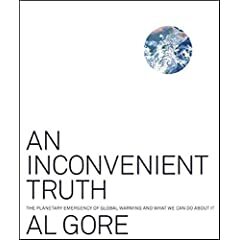 He has revived the slide presentation about global warming that he first began giving in 1990 and taken that slide show on the road, and he has now turned that presentation into a book and a documentary film, both called "An Inconvenient Truth." The movie (which opens in New York and Los Angeles on Wednesday) shows a focused and accessible Gore — "a funnier, more relaxed and sympathetic character" than he was as a candidate, said The Observer, the British newspaper — and has revived talk in some circles of another possible Gore run for the White House. As for the book, its roots as a slide show are very much in evidence. It does not pretend to grapple with climate change with the sort of minute detail and analysis displayed by three books on the subject that came out earlier this spring ("The Winds of Change" by Eugene Linden, "The Weather Makers" by Tim Flannery and "Field Notes From a Catastrophe" by Elizabeth Kolbert), and yet as a user-friendly introduction to global warming and a succinct summary of many of the central arguments laid out in those other volumes, "An Inconvenient Truth" is lucid, harrowing and bluntly effective.